The Hustler contains Paul Newman's best performance of his career and one of the best performances of all time by any actor. 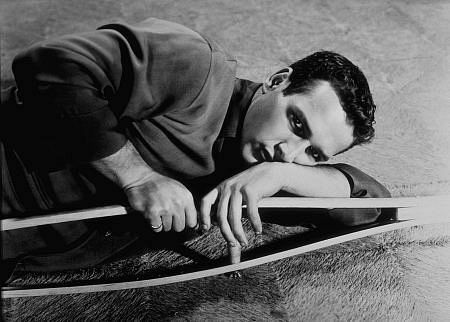 His turn as the cocky poolhall hustler "Fast" Eddie Felson colors this black and white film as a starkly original take on the traditional sports film. Whatever conventions that genre relies on are torn back and replaced with clever dialogue, an anti-hero hero, a cooky love interest, and one of the most underrated villians in George C. Scott's Bert Gordon. He breaks down our hero in a less obvious way than the typical antagonist, but we end up hating him just as much as any other villian who'd shoot, out wit, curse, or physically destroy a film's protagonist. Jackie Gleason's dramatic performance as the legendary Minnesota Fats gives "Fast" Eddie a worthy rival and the film another subtle adversary. The film takes new and exciting paths that were almost unheard of in the time of its original release. It still holds up today amongst all the other recognized classics, perhaps towering over more than a few of films mentioned as the all-time best.